Shortly after last week’s Digital Dash was wrapped up and delivered to your inbox, I got the alert that a potentially massive story was breaking: a New York Times report had revealed Facebook is planning to merge Messenger, Instagram and WhatsApp. This is more than just a rumour, guys. Facebook itself has even officially commented on the project. But we’ll get back to that in a second because we firstly need to address what the “merge” actually means. To put the biggest misconception to bed, no, the individual platforms won’t become one entity. Each will remain a standalone app. The unification relates to the backend infrastructure of the platforms, specifically messaging. I.e. people using one app will be able to chat to people using another. Key to this is all 3 messaging services becoming end-to-end encrypted – meaning no one other than the sender and the recipient has access to content sent. Following through on this intention will be hugely important to users. What he did confirm though is that the project would likely not show up until 2020 or beyond. Okay so that wasn’t much of a dash was it? I’ll keep these next 4 top stories super speedy to make it up to you. 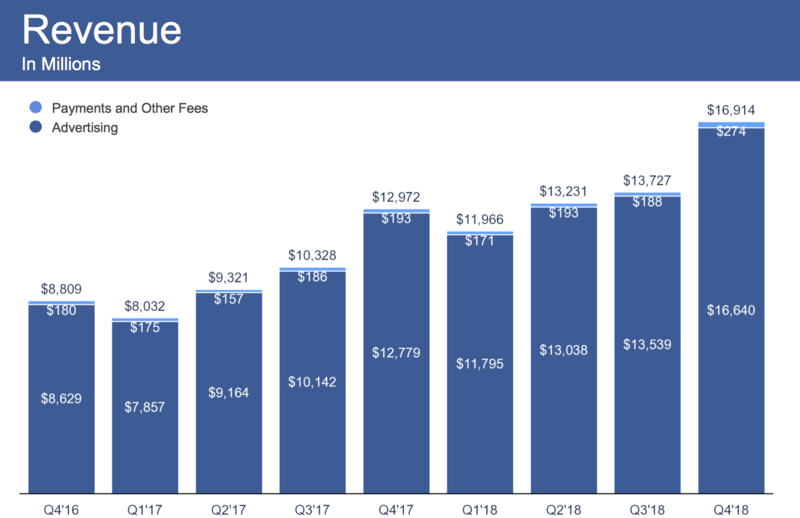 We’re sticking with Facebook first – the company has just released its Q4 2018 report and the results are not too shabby. 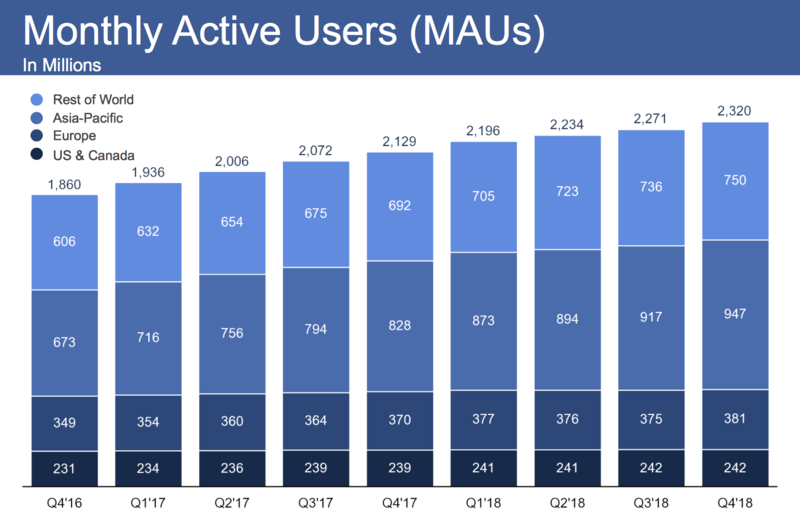 Despite seemingly endless data concerns, bad press and controversies, The Social Network managed a bumper end to 2018. There are two main updates from Instagram this week. 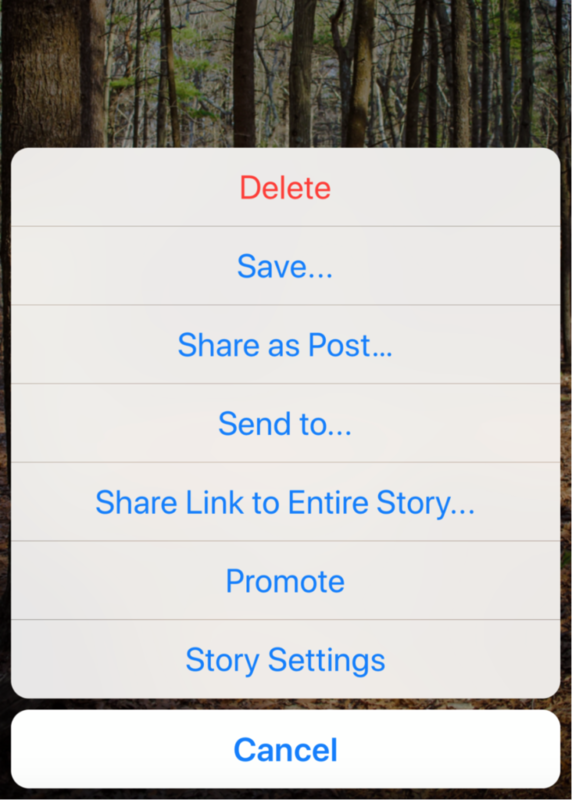 The first is a new option to “Share A Link To Your Story”, spotted by Lindsey Gamble. It appears in the “More” menu of your story (accessed by tapping the three dots). A URL is generated when you select the option, which you can then share to direct people straight to a particular story. I hope it will continue to work for stories that have been archived, but this has not been confirmed yet as far as I know. My marketing brain is already buzzing with ideas of how this could be used to drive users to specific pieces of content. Exciting! Instagram update number 2 is another newcomer to the More menu – this time the “Promote” button. This operates in much the same way as promoting a regular post, allowing you to choose where you want to direct people to, set targeting and assign a budget. The new ad type is called Promote for Stories. Now, I’ll have to give a word of warning with this one – as I always do with front-end advertising. This option probably won’t be much use for those with advanced ad campaigns/strategies. Why? Because you lose control over your campaigns in Ads Manager, and the targeting/testing capabilities are usually limited. You can see both new options here. 4. LinkedIn wants in on a much-loved Facebook feature, can you guess which? If you asked any social media advertiser what their favourite Facebook features are, lookalike audiences is bound to top the list. The functionality allows you to find and target people who closely match an existing audience on many levels (demographically, behaviourally etc.) The idea is that they will interact with your brand in a similar way. And it really works. So for example, you upload your customer list and create a custom audience. You then create a lookalike of these people in the hope that they too will buy. They often do. This is such an effective way of filling the top of your sales funnel with a ton of people you know are much more likely to progress down to purchase. Anyway, enough about Facebook. Let’s talk about LinkedIn. The business-first platform already has an equivalent to custom audiences called matched audiences. And now, according to a Digiday, the platform is working towards releasing a lookalike audience feature. While this could well attract more advertisers, there’s one major drawback: LinkedIn ads are seriously expensive. 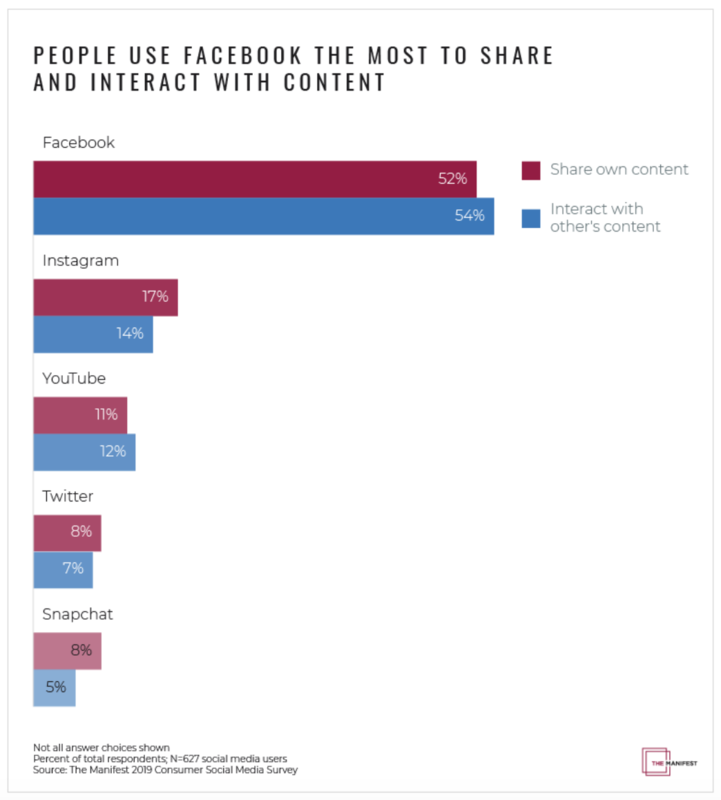 A new report from business news website The Manifest has revealed some interesting stats about social media usage in the US. Something to bear in mind before I go any further is that the study surveyed 627 Americans who had used social media within the past week, from a mix of age brackets. So fairly small scale. Hmm… this last one is interesting and I think may have been skewed by the variety in ages of the people surveyed. I would love to see a breakdown by age bracket before drawing any generic conclusions from this study. I think we’d see some quite major differences in platform usage between say Gen Z and Gen X.